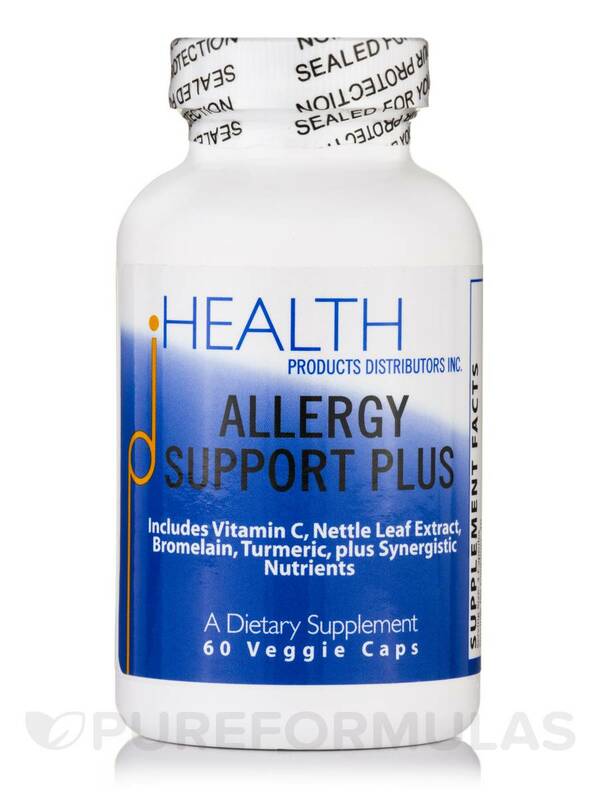 Allergy Support Plus Capsules from Health Products Distributors‚ Inc.‚ might provide the body with the strength to support itself during a bout of allergies. Allergy season can be extremely troublesome and can cause various issues like cold‚ stuffy nose‚ itchy eyes‚ and frequent sneezing. 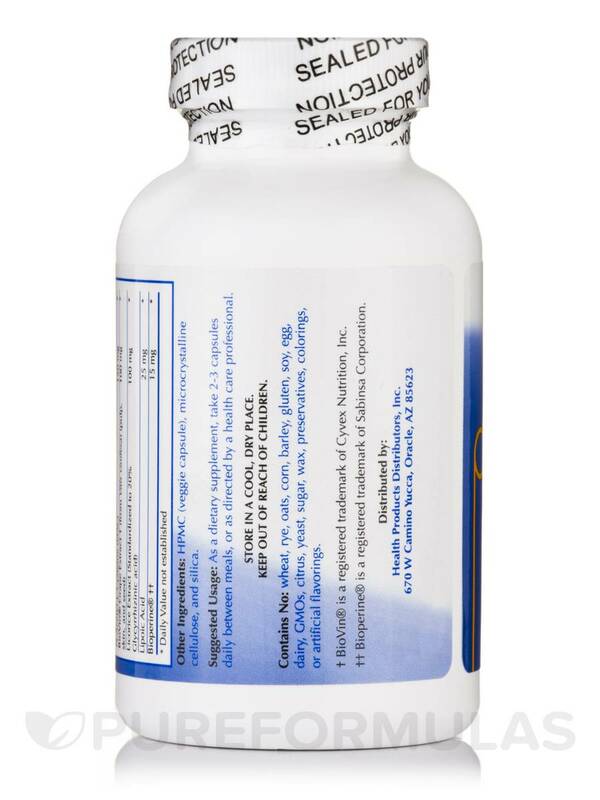 This supplement from Health Products Distributors‚ Inc. might help you overcome mild allergy effects. Vitamin C is known to support the immune system and the health of the lungs. Nettle leaf extract could help relieve effects like congestion‚ itching‚ and watery eyes. Studies show that it could potentially regulate the activity of histamine‚ the component that induces allergies. 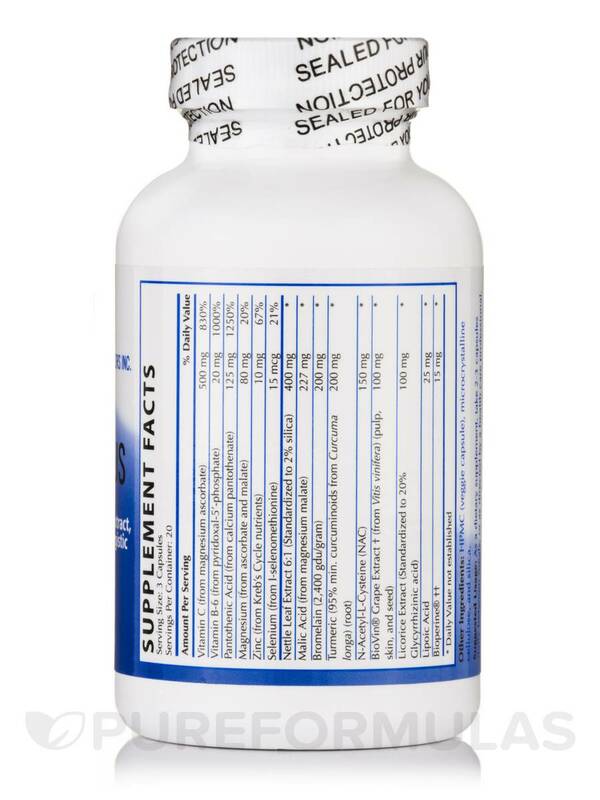 K-Rutin might help reduce inflammation caused by respiratory ailments. L-malic acid may help with the production of energy while turmeric could provide anti-inflammatory and antioxidant benefits. N-acetyl-l-cysteine (NAC) is known to potentially help clear the respiratory tract. Magnesium present in the supplement might help soothe the bronchial muscles‚ while alpha-lipoic acid could provide antioxidant support. 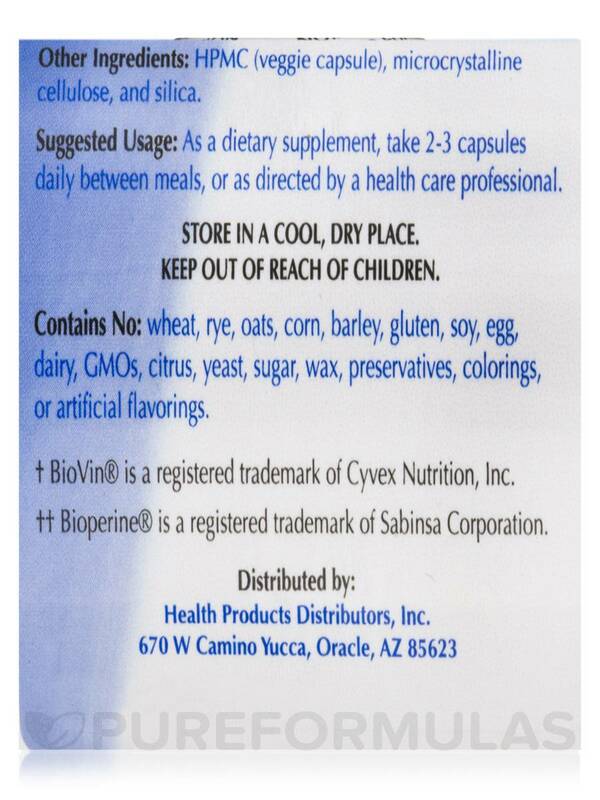 The Bioperine® black pepper extract in Allergy Support Plus Capsules from Health Products Distributors‚ Inc.‚ is known to potentially increase the absorption of nutrients present in the supplement. 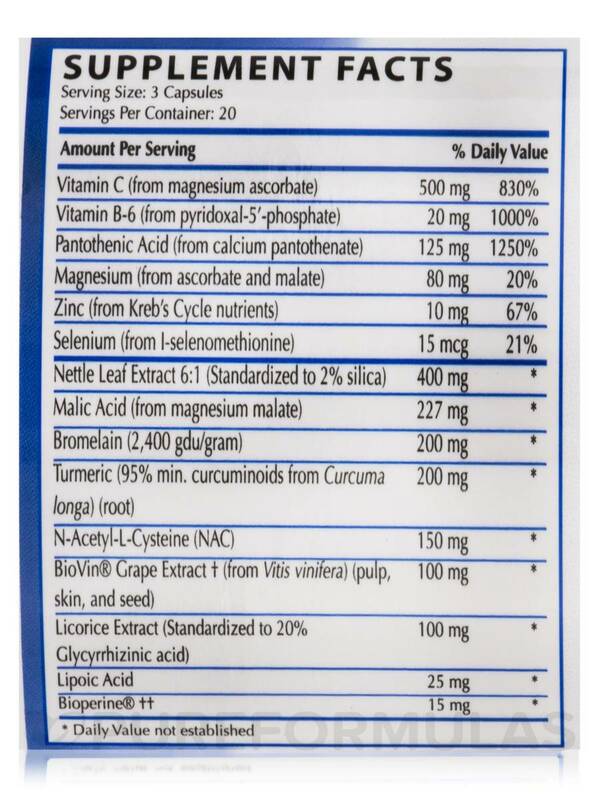 OTHER INGREDIENTS: vegetarian capsule (vegetable source)‚ microcrystalline cellulose‚ silica‚ and magnesium trisilicate. ALLERGY SUPPORT PLUS does not contain wheat‚ rye‚ oats‚ corn‚ barley‚ gluten‚ soy‚ egg‚ dairy‚ sugar‚ yeast‚ sulfates‚ chlorides‚ salicylates‚ magnesium stearate‚ wax‚ preservatives‚ colorings‚ or artificial flavorings. As a dietary supplement take one capsule two to three times per day away from food (30 minutes before or two hours after food)‚ or as directed by a health care professional.